Collects X-Men (1991) #27-30 and Annual #2, X-Men Unlimited (1993) #3, Uncanny X-Men (1963) #308-310 and Annual #18, X-Men: The Wedding Album, and What If? (1989) #60. These are tense times for the X-Men. The Legacy virus, which has already killed many mutants both friend and foe, threatens to become a worldwide epidemic. Professor X has captured Sabretooth and locked him in the mansion basement, hoping to eventually cure his raging bloodlust. 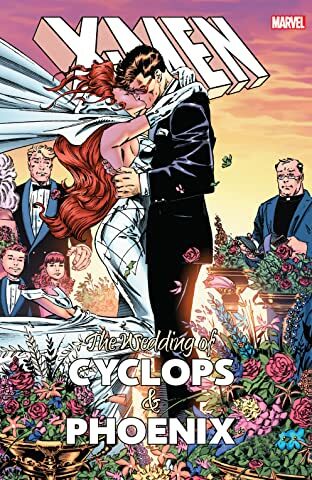 But amid the darkness, a ray of light shines - as longtime lovebirds Cyclops and Phoenix announce their engagement! 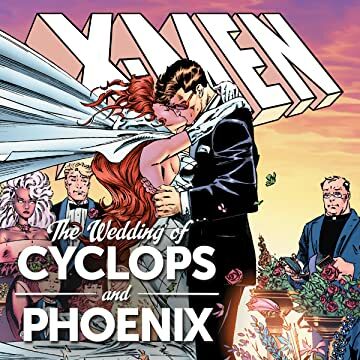 The X-Men and their extended family come together to celebrate the union of mutantdom's most star-crossed couple - but will this joyous occasion revitalize the X-Men, and provide them with new hope and a new direction for the future? Or will the looming darkness still consume them all?